 Mouse anti Bovine interleukin-6 antibody, clone CC310 recognizes bovine interleukin-6, a 208 amino acid (including a 29 amino acid signal peptide) ~24 kDa multifunctional cytokine. IL-6 plays an essential role in the terminal differentiation of B-cells into immunoglobulin secreting cells and is a potent inducer of the acute phase response (UniProt: P26892). Hope, J.C. et al. (2001) Differences in the induction of CD8+ T cell responses by subpopulations of dendritic cells from afferent lymph are related to IL-1 alpha secretion. J Leukoc Biol. 69: 271-9. Dernfalk, J. et al. (2007) The xMAP technique can be used for detection of the inflammatory cytokines IL-1beta, IL-6 and TNF-alpha in bovine samples. Vet Immunol Immunopathol. 118: 40-9.